Welcome to June everyone! The first official week of winter is upon us and sadly means the end of this year’s New Zealand Music Month that wrapped up 31st May. Personally, I felt this year lacked a lot of air time for NZMM and it would have been nice to have seen more platforms really pull out the stops to create something a bit different this year, but on the flip side, I hope it has encouraged us as music lovers to discover new talent during May, by finding the time to sit down and listen to that new release or go catch a live show. Do you had a favourite story or something you’ve loved in particular about this year’s Music Month? 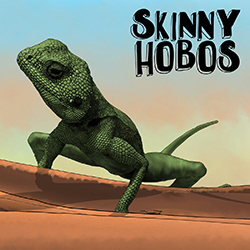 A highlight for me has been checking out (reviewing) Skinny Hobos debut album which is an absolute epic effort if you haven’t already heard it. New Zealand should really be proud of the talent we produce, and there's no shortage of the high calibre of talent we have. You don’t have to go far to uncover some underground, hidden gems and that’s what I love about our music scene. 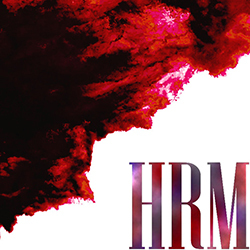 Our newsletters can be much the same at times, often we feature already known artists and bands on the eve of new releases while other times, we like to focus on the unknown up and coming. If you’re like me and love reading about new talent before you give them a listen, it gives you more of a complete picture about who they are and what their stories are, which I feel is just as important as the music. Speaking of, we have a few interviews lined up for this month, starting with Dave Rhodes, owner/operator of Depot Sound in Devonport and continuing with singer/songwriter, Seth Haapu. 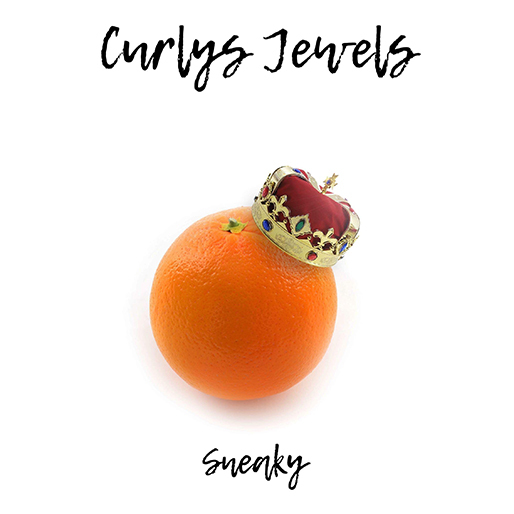 We also showcase up-and-comers,Jaggers x Lines as well as newcomer ABRZY, talk to PT and find out about the new single from Curlys Jewels. Kerry and the Muzic.net Team. Ear plugs and some loose change. You have been in the industry a while now, care to tell us how it all began? The first time I was in a studio was with my Dad when I was about 10, I think I got hooked on the flashing lights immediately! I worked out how to recorded stuff on a cassette 4 track while I was a teenager and eventually went to SAE in 1995. After SAE I got a job in radio production where I would use the small studio to record bands in my spare time. The voice booth was just big enough to fit a drum kit in and that’s where I recorded Blindspott's first single Nil By Mouth in about 2000. I've been working in studios and recording bands on and off ever since. What are some career highlights so far? 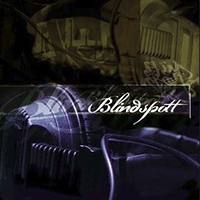 Seeing the rise of Blindspott from the first little recording we did to the multi-platinum album was pretty cool. Since then I've worked with so many NZ bands, recently it’s been cool getting to record some of the bands I grew up listening to like Head Like A Hole and Push Push. I had a cool day in the studio a few years ago when James Burton, Ronnie Tutt and Glen D Hardin from Elvis’ 70’s backing band came in for a rehearsal. Just sitting in the room with those guys jamming was super cool. You have made some significant contributions to NZ music, notably mixing Blindspott's debut album and also with your own band Stylus, which side of the glass do you prefer being on? Neither! If it were up to me I'd be on stage playing the drums. But that’s a hard gig to maintain so recently I've been sticking to the studio. I love recording and mixing bands, I could do that any day of the week. You have worked with some big names, who has had the most impact on you so far? It’s hard to say, I think there is more impact from a young band that I don't know anything about that turns out to be amazing. It’s cool working with well known bands but you kind of know what to expect. When a new band or musician comes in and they just blow you away that’s really exciting. You are now studio manager and head engineer at Depot Sound, care to tell us a bit more about that? Depot Sound is part of the Depot Artspace which is a creative hub for artists in Devonport. There are always lots of cool projects happening around the building and it’s cool to be in that encouraging and creative environment. Since I started over 5 years ago we have made some significant upgrades to the studio. We built a new control room and upgraded most of the equipment. We now also have a smaller production studio, so we can cater to all types of work from bands to electronic musicians. We also do a bit of voice work and audio post production for video. We have created a friendly, welcoming and well equipped space where musicians can come and relax and enjoy the creative process. 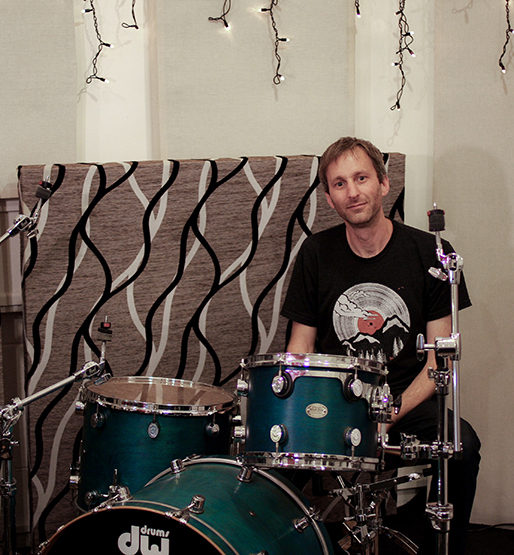 Let's talk about Dave Rhodes the drummer, who are your influences? What sparked the fire? This started with my parents as well, when i was 15 I joined their rock ’n roll covers band which taught me a lot about how to be in a band, being prepared, having the right gear, how to deal with venues and drunk people haha. At first my influences were just whatever cassettes were around that I used to play along with, mostly old rock so Ian Paice, John Bonham, Steven Adler, Tommy Lee etc. Then as the 90's took hold drummers like Steve Gorman, Matt Cameron, Sean Kinney, Chad Smith, Dave Krusen, and Danny Carey. There are so many amazing drummers around! What's next for Dave Rhodes producer, engineer, mixer, drummer? I'd like to start playing drums more so if anyone has a band that needs a drummer hit me up haha.... But my current mission is to keep Depot Sound running. It’s tough keeping the business coming in, musicians have less and less money and we still need to pay the power bill so we are looking at other options along side the music recording. I'd like to do more audio post work so I'll be looking into that over the next few months. I've mixed a few projects recently that were recorded elsewhere (one from as far away as Germany!) and that’s been fun so I'd be keen to do more mixing of other people's recordings too. Recently I’ve been getting into photography in my spare time. It started with wildlife photos but lately I’ve started photographing live gigs which is really fun. You can check out some photos here. If you were a sausage, any sausage, which flavour would you be? Wellington rock band Curlys Jewels are excited about their brand new single titled Sneaky (released 1 June). The track was recorded at Roundhead Studios in Auckland with the legendary producer Greg Haver (Manic Street Preachers, OpShop, The Feelers), and mixed by the 2017 NZ Music Awards winning producer Clint Murphy (Devilskin). Sneaky is a powerful track that captures the bands tight grooves, solid riffs and soaring vocals. Coming off the back of a huge 2017 including the release of their EP The Skin We Shed, which peaked at #11 on the Official NZ Top 40 NZ Album chart, a successful North Island headline tour, support invitations from Kiwi rock giants Head Like A Hole and Devilskin, and a performance at the NZ Tattoo and Art Festival 2017, Curlys Jewels are charging ahead into 2018 supporting The Feelers on their 25th Anniversary Tour in Wellington, Palmerston North, New Plymouth and Napier over July and August. and Andy Van der Heyden (bass). Shelley has had an incredible month interviewing for muzic.net.nz. She had a great chat with Eliana from Jaggers x Lines over the phone. This is how it went down. Kia Ora Eliana! How are you? I’m very good. Thanks for calling. You’ve previously mentioned that Jaggers comes from Morgan’s producer name, that you’re Lines and you see them more as a persona. Did you instantly have that idea? How did you get to the point where you were like this is our name? I think it was a pretty instant thing. For me thinking of names and titles is something that I really like. To me it’s a really important part of a project to have a good name and something that is a cohesive metaphor or at least fits and feels natural. So, we had been making music together for about a month and it just came out. Like most things do it just kind of fell out of my head (laughs). When we first started out I would describe our music as trip pop and that’s because the first EP that we released last year, Letters, had much more of a darker & ambient sonic landscape. And now I’m kind of calling us Alt-Pop because I feel like pop music is an essential part of what we do, and I feel like that’s how I’d describe us. I think we make stuff that’s a little bit weirder and less polished. The best way to describe it is pop music made by two people who don’t come from pop backgrounds and are just trying to do it. You said your lyrics are very personal. But is there anything else that inspires your writing? For basically all my writing, but definitely Jaggers X Lines, I don’t think I’ve written a single song that isn’t personal in some sense. Some are definitely more personal than others. Some are therapeutic songs for me where I need to get something out, so I turn it into a song. Some are more personal in a conceptual way. I think they’re all personal because they’re all about ways in which I experience the world or things that have happened to me. I don’t think I could write anything that wasn’t personal. I think that’s why I feel weird when I write something isn’t personal because I don’t feel like it’s accurate. Anything that’s not my own experience isn’t my place to comment on and especially when I’m making art I want to be as accurate as possible. So, the best way to do that is to keep it personal. You’ve just released your new single Problem Drinking. It seems a bit theatrical but also a bit grungy. Can you tell us more about it? Yes, I can (laughs). So, this is the third single from our impending debut album called Burn Cycle. It will be coming out around August this year. There will be another single from the album in about a month's time. Problem Drinking is surprise surprise a very personal song. It’s about my experiences of mental illness and using alcohol as a coping mechanism. It was also born out a really difficult night that I had about four years ago, and the memory just slammed into me one night and I was just back in the hallway of my old house. I just remembered how I felt at that point of my life and I just remembered using alcohol really heavily. Yeah and I just needed to write a song about it. What I love about this project are that they are often intense & very personal odes that I’ve written and then they’re interwovern with these great dance beats. I find it a bit hilarious. I think there’s something very powerfully be gained out of making something joyful and empowering out of things that have been difficult & painful. So, I think there’s that aspect to it as well. For me personally that’s something that I get out the music. The album cover is of you and Morgan sat on the sidewalk. What’s in his hand and in your mouth? Is it a lime? 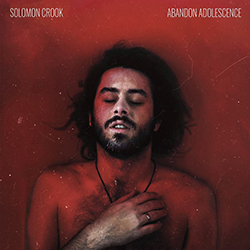 Where do the cover ideas come from, as the few singles on Spotify just seem to be images of yourselves? (Laughs) It’s a very, very, very small apple. When we were doing a photoshoot with our friend taking photographs, Jessica Thompson and we were walking down past the house where I was living when Problem Drinking was kind of inspired or when those events happened. There was a tree of these little apples and me and Morgan just became kind of enamoured with them. Then were just kind of like here taking photos of me eating this tiny apple, which is obviously a really normal thing to do. A lot of your single covers are like that, just images of you both. Is that the way you guys plan to keep it or is it just what worked at the time? It’s kind of half & half. I guess I’m now kind of trying to have a more cohesive approach to our visual representation. But previously it’s been just kind of whatever I have at my disposal at the time. I think two of the photos your thinking of are photos we did our friend Sam O’Leary who’s an incredible photographer and then we did the photoshoot with Jess. So, just using those high-quality images are just really great. In the future we’re changing it a bit, I was talking to the artist who’s doing the art for our next single and it’s going to be a drawing and our album cover is the same from another local artist. But yeah, we’ll see. You guys seem to be playing a bunch of group shows at the moment. Do you think you’d do a solo Jaggers X Lines tour soon or do you prefer these types of shows? After the album comes out we definitely will. 100%. We did a mini headline tour of Auckland, Wellington, Christchurch, a NY festival and Dunedin at the end of last year/beginning of this year. We’re playing in Wellington on July 13th. But after the album comes out we’ll definitely do a tour of New Zealand and try to hit a lot more places. I want to do more than just Auckland, Wellington, Christchurch and Dunedin. I want to go to Nelson, Hamilton etc. I think it will be a really fun thing to do. We’re also looking at going over to Australia. Then the next goal is next summer in Europe. 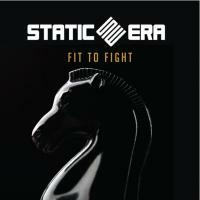 Other than I would say look out for our next single and look out for our debut album because they’re awesome. We finished most of the material last year and we’ve been kind of refining it. We’ve recorded some new stuff this year as well. It’s a collection of songs I’m really excited about and it’s very different to our EP. Even with the spread of singles we’ve already released, there’s so much new sounds & tracks that are going to be on the album. I feel like people don’t really know what the Jaggers X Lines sound is necessarily and I’m really excited for them to get a broader picture of that after the album’s out. We’ve got a new music video out now. The music video is great because it’s an idea that I had wanted to do for years. When I was in Berlin this time last year me and my friend Joey Bania, who is a really incredibly talented film maker, just went into this parkland filmed the whole thing in a day and it was amazing. It basically involved me covering my face and upper body in glue and waiting until it dried clear and then peeling it off. It looks like I’m peeling off my own skin. It’s really cool and freaky. Joey did all this great stuff in post-production and it’s like this like a mind fracturing. It was so fun to make. Music Videos make me super happy. Thank you for doing this interview with me Eliana. It was super nice talking to you and maybe we’ll meet in person one day. I’m sure we will because New Zealand’s really small, and I'll look forward to it. Jaggers x Lines are Eliana Gray and Morgan Smillie. Where did the name ‘ABRZY’ come from? How do you pronounce that? I read it as ‘a-breezy’. Yeah, it’s just “aye-breezy” or “a-breezy”. So, my really name’s Abid and it just to rolled off the tongue. It rhymes with easy and I’m from Wellington right and it’s like the windiest city in the world. So BRZY is just every day, this is me. Yeah there’s no crazy story behind it or anything. Just a combination of all these things. I’d just describe my music as authentic because it’s literally just based on me, my life. I don’t fabricate any stories or speak about anything fantasy or gun, drugs etc. I don’t put on an image or anything, everything you hear in the music is me. I’d just describe it as me, authentic ABRZY. How do you come up with your lyrics? Is there anything, other than life, that inspires you when writing your lyrics? Nah not really. I just hear the beat and depending on how it sounds or how I feel I’ll immediately know what direction of the song I want to go in or what I’m going to talk about. Yeah, I just feel like if your life is interesting you’ll never run out of things to write about. And even if it’s not you can always find a way to stretch things. Yeah, it’s just me, my experiences. That’s why I always try to go out. If you’re out there you’ll have things to write about. What/who are your influences, if any? Definitely Lil' Wayne from 2006 – 2010. In terms of his career is probably one of my biggest influences. Yeah like I’d go home after school and just rap to his beats and listen to him all day. Drake is definitely one of my biggest influences. Just his style and his vibe. Kanye West. Yeah, I could go one. I just listen to so much rap music I think every artist I listen to, I’m inspired by. I take something from each person. You’ve just released your new single Top Down. How did it feel to release it? It was incredible. I don’t think I’ve ever put in as much work into a song in terms of like promotion. It’s just cool. I’m a firm believer in you get out what you put in. So, the fact you put in so much work and you’re actually seeing tangible results from it, that was an incredible feeling. It’s definitely like my most well-received song. I’ve always wanted to make a song you could just dance & smile too. The fact that I’ve accomplished that, because I’ve tried so many times. So many songs that I’ve never released. But I got there in the end, that’s a great feeling. Following on from the success of your single Crew Love, how has the reception been for Top Down? It was good, real good., I just checked and I’m on like 59,000 streams for it. When I finished my exams at the end of last year I told myself I wanted to get 100,000 streams this year. That’s the goal. I’ve released two songs so far and Top Down is at 59,000 so hopefully I can get that 100,000. But the way it was received and all the messages from people and stuff, that’s been such a surreal feeling. That’s what makes it worth all those nights that you’re working towards all that. You went on hiatus to finish your studies, what did you study? So, I studied commerce, majoring in accounting and commercial law at Vic in Wellington. NZ helped you get your rap going and your friends gave you confidence in your work. When did you realize it was time to put it out there and get social media going? I think it was when it was a Uni holiday. I recorded my first mixtape at the end of my first year at uni. I’ve been rapping before all that, but I got to Uni and obviously with life your passions and hobbies take a bit of a backseat. But it’s still there. When it was Uni holidays there was nothing to stop me and I was like I’ve got all this free time and I love this more than anything. Let’s just give it a go and actually put it out there. Step away from freestyles with your friends and take it to the next level. When I had that chunk of free time that way like the catalyst for me to put stuff out there. You’ve opened for some big names such as Tinie Tempah and Kid Ink. How did it feel sharing the same stage and playing to those crowds? It was surreal. That’s definitely one of the highlights of the many years I’ve been doing music. That’s definitely one of the craziest things that has ever happened to me and I’m so grateful to the promoter for giving me that chance. In front of the stage there’s a crowd of like 1100 people there and that’s like the biggest crowd I’ve ever played for. It was crazy. Even just meeting those artists. You read about them, read articles etc and to just see them in person was crazy. It’s one thing to see it through a computer but it’s another thing to be arm's length away from them. Looking at them, it was like this is the physical manifestation of my dreams. I can touch this train. This is a glimpse of what I want to do. 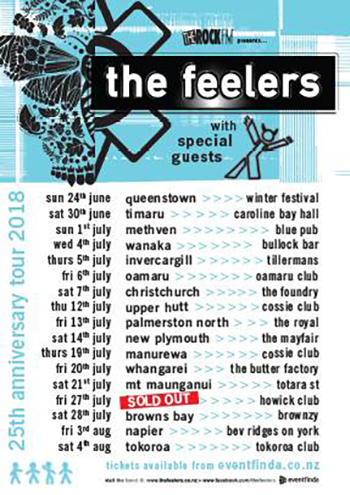 Do you have any plans to tour outside Wellington? 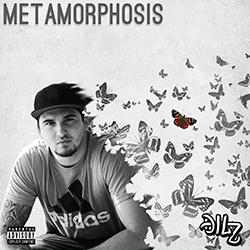 I’m just focusing on getting my streams up and creating a mad buzz. The thing with the internet, you don’t really need to be in a very musical city to make things happen. You look at someone like Lorde or other NZ artists who have made it happen, that’s because of the internet. I love this city to death, so I just want to stay here and put out as much great music as I can. And then if the people are calling for it and the buzz is there then I’ll try and make that jump. But for now, I’m pretty comfortable grinding in the winter. 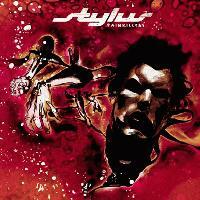 What is your favourite track/album at the moment? I can’t even tell you that. I’m not even listening to music. I’m literally just listening to beats for my new EP, that’s all I do all day. I’m just listening to a lot of instrumentals and beats to figure out what direction I’m going in and what I want to do. I think the last song I heard was most likely a Drake song. Are you going to keep releasing singles for now or is the EP/Album coming up next? So, I’m just going to release like a two-track EP very soon. Hopefully next month. One track is just going to be like very Daft Punk, upbeat and makes you want to dance. Then the other one is going to be heavy raps. I love spitting bars, that’s what I do. So, it’s just going to be two very contrasting songs, so you get the best of both. Whatever type of song you like from me you’ll get it. It’s called Nightfall. Do you find you get quite focused on the visuals as well or is it just about the music? Just the music. It’s a mission to create visuals with all the editing and stuff. But I’m definitely keen to create more visuals but with everything around me like my work and my studies, it’s just finding the time. I just really want to have a great discography of songs and then once I have that, if a song takes off I’ll do visuals for it. But I do think visuals are important, so I try to stay active on social media and all that. Anything exciting coming up? Or anything else to add? Nightfall is coming out and it’s going to change the game. I want to join the handy club really bad and I’m looking forward to just smashing it with my new EP. I’m just going to see how the EP does and go from there. I’m focused on that at the moment and I don’t want to burn myself out with too many long-term visions. But we’ll see how it goes. I’m just going to try my best. Thank you for doing this interview with me. Thanks so much for agreeing to do this with me I appreciate it, I appreciate your time. Shelley recently sat down with PT at Auckland Art Gallery to catch up with him and see what he’s been up to. The interview kicked off with us discussing social media and technology. The change things have taken from currently hearing from artists everyday compared to back in the day when you didn’t hear from them unless they released something or toured here. Why PT? Why the change in America? It was about evolution for me as an artist and it was time for a change. It wasn’t just a change for me in the music, it was a change for everything. I felt like I wanted to go from being the guy next door to really establishing myself in the music. For me I felt my name was very homely and chill but as it grew I was like I want to grow to even bigger heights. I realised I have to change with how society changes and again it comes back to social media. A lot of artists are blowing up because of their branding, that’s the appeal, it’s not even the music. You know it’s scary you’re essentially attempting a brand change but so far, it’s worked for me. I guess it’s about separation, that’s the old me, that’s the old artist and this is the new me, the new PT. I’ve changed so much from the kid I was way back when I first started music to where I’m at now. It’s been 9-10 years of doing music professionally. There’s been a lot that has happened in that time. Nobody should ever stay the same after 10 years. If you’re still the same after 10 years you might want to sit down with yourself and look in the mirror and think okay are there things I need to fix here? So how long have you been working on Goliath for? 2 ½ years. So, I came back from the US in August 2015 and after spending a lot of my time out there I recognised the RMA scene which was really popping off and that’s when I made the Dopamine EP. But after making it I was like this still doesn’t feel like me right now. I feel like there’s new depths to explore and so I literally shut off from the world. I stopped posting so heavily much on social media, I stopped giving a lot of my time and attention to that because I was like no it needs to be first and foremost about the music. I need to just go away and make the best thing I’ve made in my life. In order to make the best thing, you have to devote a lot of time to it. So, I sat hold up in a little studio, one of my homies gave me a space and I just started searching for sounds and listening for things all over the world. I checked out Spotify, Soundcloud, YouTube and talked to a lot of DJs and producers to figure out where it’s all moving too. You obviously want to be moving with the flow, but you don’t want to be copying everybody. You still want to stand out, but you need to at least fit the mound of how music’s going. So, it took about two years and in between all that time I had a lot of spiritual moments. I’ve always known the spiritual moment was real since I was a child. So, while that was going on in my life, the recognition of the fact that god is real, it was all manifesting in my personal life and my music. Is that where the track King came from? Yeah well, I’ve always been a believer in god. I’ve always known he was real. Coming back to god and finally giving my life to him and just saying stop running, it was a maturing process that happened for me. I’ve been emotionally stunted for a very long time. Music and fame was an outlet to cover up some of the things I’ve never really dealt with in my life. Things that have affected me ever since I was a child. But you know we cover them up, we fill the holes in our heart, with things that we think will fit. King was born out of me having deep conversation with god and just realising just how far I walked away from him. The recognition of so many things in my life such as the sins I’ve committed. Then just feeling god's presence and love to say I forgive you. So that’s where that song has come out of. It’s funny because on the album, that’s the songs that everybody loves. And a lot of people who aren’t question or who haven’t walked with god for a long time are just wow that song has ruined my day. That song has me on my face crying. It reminds me of how good god's love is. It’s a song about repentance and seeking forgiveness of our creator. We’re not living the life he intends for us, so we have to first come to him and ask for forgiveness before we can actually have a relationship with him. I think King has spoken to a lot of people about remembering to just go say sorry and the big fella will forgive you and you can carry on life. Well it’s definitely the different track on the album. Because the rest of the album makes me think of summer, electronic, dance type vibe from it. The album is very gritty. It’s got a lot of dance elements compacted into it. It’s not what you generically hear. It’s a lot of beats you don’t expect to be together but it works. Yeah well, the producers that worked on it – Will Starr, I.amsolo and DJ Sabio, these guys are all based in the club as well as dancers. DJ Sabio who mastered and engineered the album, he’s the resident at The Marquee in Sydney and this club is regularly packed with people. So, they knew what was going to move people and what the rhythms are that move people. This was something we really wanted for the project. I wanted an album that people could play start to finish and it would just set you up whether you wake up in the morning and it’s the first thing you listen too, whether you’re on your way to the party, whether you’re at the party, whether you’re on your way home, on your way to training etc. I wanted to make something that would help people to move. Obviously, I want to evoke an emotion but if I can just evoke a feeling or get you to move or out of your space for a minute, then I’ve done my job. A lot of what I’ve got from people is this is different, but I dig it. I know I’ve taken a big risk from steeping away from what I’ve done before but you know this is what we have to do as innovators. We have to do that as creators. But it’s also a matter of the fans don’t grow at the rate that the artist grows. There’s a number of people who tell me they love my first or second albums but this third one is okay, we’re getting there. It’s nostalgia and the human condition. We revert back to things we love and cherish the most. But you have to risk being future-forward, even if it might mean that people don’t understand you. As an established artist in NZ I have a responsibility to go deep and test this thing out. If I get swallowed by sharks in deep water well that’s okay if it meets the next artist can come in and swim there comfortably. I have to do that. Music is a reflection on society and culture, so it’s my responsibility to figure that out and go guys this is where music is going. I’m really starting to use auto tune as a tool for new creation. We’re already working not he next album and we’re starting to play with vocals and engineering, kind of like how it was in the 80’s. Taking a surge of hardware and how people were using it to make sounds with their voices and different types of music. Now I can see this is where it’s at right now. Everybody is doing everything. It’s a weird cacophony of sound at the moment. I’ve coined this term for it, electro-R&B. It’s not R&B it’s this new feel. But that’s how I describe this album. There’s definitely elements of pop in there as well though. The boundaries are litigated. I don’t want to live in the constraints of the typical sound structure. It’s been standardised for so long and I’ve done that to get radio play, stick with the flow etc. But now there’s not really a standard anymore and artists are trying more. How do you feel now that music seems to be more of a response to politics? I’ve never been highly politicised. Politics to me doesn’t matter. It’s funny that people moan and complain about each individual politician, but they forget that there’s people behind the scenes too. So again, I could never really go that deep with myself and with the music. I think music is always a difficult one because you can only give a one-sided basis to the argument. You can’t really delve deep into things. So, for me I just stay right away from it. For me the biggest socials I see today and with every generation is love. Everybody wants love. Everybody want to be loved, experience love, give love and be loved for what they do. It’s this crazy intangible things that even if people say they don’t want it, they do want it. Everybody wants it. This is why consistently you see that love songs are overdone etc, but they still go just as big no matter what time they come out. That’s because new generations all want the same thing. So, what does that do? It speaks to the social conditioning and human psyche. It’s an essential need. But yeah, it’s humans, we’re always going to be divided. 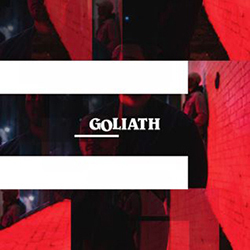 With your album artwork, the title Goliath is quite crooked, why? As human beings we’re imperfect. Goliath was imperfect. David was imperfect. We’re all imperfect. So that’s kind of what it is. It’s summarising the fact we’re all a little bit messed up regardless of how we come across or want to be perceived. Regardless of how we perceive somebody. Nobody’s perfect. Everybody’s got their things they want to deal with. But it makes us human right? In music the imperfections can often make the sound because it’s real, it’s human. A lot of music today loses its emotive connection because it's not real. But when you leave some of those mistakes in then yeah. In the past I used to clean everything up completely. Now there’s been times I’ve finished the song and I debate changing it and decide no I’ll leave it. It was done that way for a reason. If it’s a bit off that’s okay, I just want you to feel something. We then had a funny conversation about how music has new terms. “Mayonnaise music” – The condiment in the music. It’s the filler. “This is pickles. It’s not everybody’s flavours but to some people it’s their life”. With our discussion of how everything is digital these days, do you think you’ll release a physical copy of Goliath? I don’t know. I think it’s time for us to move forward and find a new way. Like I’m starting to see new USB’s that connect to a lot of different technology. Why aren’t we moving forward that way too? It seems a lot of people are investing more in live shows and merch than music. They’d rather buy a shirt with the album cover than the album. This goes back to what we were talking about before. The aesthetic of who you are, the brand. This tacks into everything else. if you could sell a $2 shirt for $30 that’s better than selling a $15 CD. I’ve never really been one to push people on iTunes. And you know it’s funny when people come up to me and tell me they love my music and show me what their listening to, but the file has official music video next to the file name and I’m like, it’s all right my bro I used to do MP3 rip as well haha. But you know I know some people get pissed off about and are like you’re not a true fan if you don’t buy it but it’s just the way it is. If they could steal your album they would. What would you say you’re currently listening too? Honestly, it’s a little bit of everything. I’m feeling a lot of DJ’s that are coming out of the UK. I’m kind of enjoying the vibes on what pops up on Spotify. But It’s kind of a lot of the DJ’s at the moment I’m really listening too. It’s because they’re just making these incredible mixes. We’re looking at developing a new show. I’m figuring out how that all works. I still love doing the club shows but I want to change it. I want to give people more of an experience and that they can take away. We’re developing the show now and there’s already been a few companies come forward and request potentially opening sets for bigger acts. It’s weird, it’s kind of been like restarting. I can easily start on the club circuit but it’s more than that. There’s an opportunity here to take the brand worldwide. I’m thankful to the people that are rocking with and even if they don’t understand it they're still rolling with it. I’m even grateful to the people who have tapped out at this part of the journey saying we’re cool with what we like, you go off here and we’re going to remember you over here. And that’s cool too. It’s going to be a very wild ride for the next 5 years. It’s going to be interesting to see if I can surpass what I’ve done. Because that’s the aim. The aim is not to match it on another level, the aim to surpass it and grow far beyond what anybody thought I’d be capable of. I’m pretty confident I will. If not to the level I think of now, then it will still be a great learning experience. It’s going to be good anyway. Thanks for the chat. Good chat mate, good talk. David Bowie also mentioned that you cannot make art for the gallery. The moment you make art for the gallery you’re screwed. Thank you to PT for the great chat. It was quite inspiring for me to see how he has come back with such a fresh drive and belief in his art. I guess at the core because I sing and play piano, the base of my music is singer-songwriter. More recently I’ve been creating a sound palette of South Pacific instruments and so I’ve created rhythms out of that, that lend itself more to my identity as someone from the South Pacific, Maori, Tahitian. Also incorporate R&B elements, which is another core foundation of what I do and what I’ve always done. Yeah, I guess that would be it in a nutshell. You released your first self-titled album in 2011 and then things seemed to go rather quiet until 2016 with your EP Volume 1 and then Volume 2 in 2017. Is there an EP or album we can expect in 2018? (Laughs) That’s a good one. I’m the kind of writer that I have to take my time to allow the right messages and songs to form. That can take time. That can take living life and processing those experiences. It can be like these periods of being inspired and then periods of quiet. But for me outside of my own music I’ve been really involved in other people's projects. Collaborating, beyond myself even, is a value that as Polynesian, we really uphold. That aspect of collaboration and working together and maoridom, whananungatanga, kotahitanga. And so, I’ve found myself behind the scenes a lot which I love. Because it’s always a little bit daunting for someone that is relatively introverted to be out there consistently. And so, it’s worked in my favour that I only wait for the songs when they’re right for me. Because now I’m able to dive into other projects. Because you’re writing for other people as well? Yeah writing for and with. Even musician level like arranging music for other people, TV, Film, that was another cool thing I’ve done for the first time. Yeah it was amazing actually. You were given a concept, an idea quite often. And to have something to be inspired by from the outset is really cool for someone like me. And the type of work that I was doing was really beautiful. It was a TV series that promoted out unique culture and stories of people’ real lives. So, I was really able to connect with it on a personal level. It had meaning to the stories being told. One of the TV was filmed in a documentary style and I found it special to watch their stories and be inspired by that and create music while simultaneously watching that visual play out. So, I would put it into Pro Tools, my recording software, press record and then play along. Just feeling whatever was that I felt represented those visuals. So that was a new experience, one that I loved. I’ve totally been so inspired by life experiences, connections that I’ve made with people, connections I’ve made with my culture and heritage that have inspired new songs that I hope to put together in a collection of work that I can put out as one body. I don’t know what that means if it’s an EP or album but there’s a lot of inspiration that has happened and songs have been made. The covers of your EP’s had very natural elements such as wood and sand and now your new single cover has the water. There’s also elements of history, whanau and self. Is this purposeful or is it more of a reflection on a personal journey you are on? I think it’s a bit of both. It starts with the journey of diving into identity and being inspired by natural elements around me and then from that the visual representation comes as well. You’re currently studying. What are you studying and does it any way influence or affect your music? I’m a psychology major at Auckland Uni and it definitely gives a much greater insight into people, our processes, our reasons behind why we do the things we do, and it helps me understand it on a different level. I think it definitely helps with songwriting and the approach with a wider scope. Music is such a powerful tool for helping people and giving life to experiences. I’d like to think that I could even make a greater contribution to people beyond music and so that was some inspiration behind studying as well. How was opening for James Blunt? It was a great set. Thank you. It was awesome because I hadn’t done anything like that in a long time. So, there were a lot of nerves prior to the show. But when I was on stage I was reminded why I love performing. That human connection that happens in a show between strangers. So, it reminded me of that feeling being on stage, sharing stories and having responses. And aside from the performance itself, I really appreciated and respected James and his values. He’s very down to earth. When I met him when we were having a kai and as I made my way to the dessert he stood up and introduced himself, which is a kind gesture when you’ve reached that level. So, I appreciated that. He was talking to his family through his phone, prior to his performance. Those sort of things spoke to the kind of person he was. It was a good reminder to continue to be yourself no matter what level of success you reach. Maintain those values. That was really refreshing. Any tours/shows? Or are you just keeping it about the music for now? I haven’t got any planned shows at the moment. 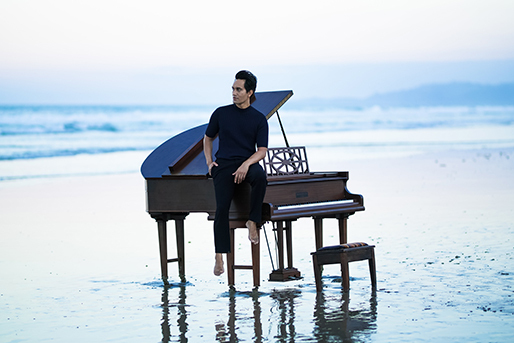 But I’d like to do some because I think that with the songs that have been made, because they’ve been inspired by so many elements, relationships, culture, identity, even a natural environment. The songs have been hugely inspired by that. Some of the sound palette I have recorded the ocean to use and instruments such as Tsonga pours and the poi. So, there’s definitely a natural element of inspiration in those songs. I’d like to take those things and include them in the show so that it’s an experience. In the same way I have been inspired, I’d like to share that with people. So, I’m excited about planning these shows, in a way that the person can receive the song how it was inspired. But no there’s nothing at the moment. New Wave is a beautiful single and I love the comparisons with the water. In the video I noticed changed from an evening where you are in black to a bright sunny day where you’re in white. 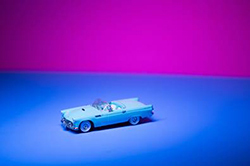 Can you tell us more about the video and the single? Cool. Thank you firstly. The song itself was inspired by a lot of things. I think on a surface level, it conveys my gratitude for simply being able to continue to create music after a long-time writing, singing & performing. It’s also a karakia before I venture into new territory as a writer, singer, performer etc. It’s a song about aroha and embracing new things. It draws on water, as you noticed, for a metaphor for that. I know of like to see it as life is a wave and we can see it coming. We either get knocked over or dive in and come out on the other side. It represents that hope that whatever comes your way, carry on and come through it. The shirt part was unintentional I think. The day was so beautiful that we just enjoyed being there and happened to be filming as the day transitioned. I think I put on a different top at some point but yeah. The time of day is reflective of, in karakia, it happens in the morning. Starting the day off with that expression of thanks and going out into the day. What is coming up for you? Do you have any plans for the future or are you happy and content with the pace you’re at now? I am the kind of artist that truly has an organic approach to being a musician. And being open to what is next. For better or worse I don’t always plan too far ahead. Obviously, I have aspirations and goals. They are also along the line of continuing to create music that brings value to someone or something. Or a Kaupapa. And if it doesn’t seem to fulfil that goal, I’ll wait into something does. I’m still inspired by old school, always & forever. Donnie Hathaway. Stevie Wonder. A little bit of Prince. Mainly their piano. Prince has got some really cool B-sides. Contemporary R&B. R&B is still something that I really love. Just going back to the earlier question, I don’t consider external influences. I listen to what’s around me. The people, my own surroundings etc which informs a lot of what I do. Sampha. I love a lot his stuff. I love that a lot of his album was inspired by his identity. Solange Knowles. Her album reflects her culture. I love that her record speaks to some of the social issues. Daniel Caesar. Probably one of my top albums I’ve been listening to, especially over the summer. 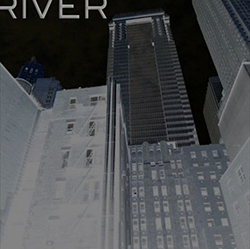 Going back to the cover art – With the first volume, it represents the foundation of home. The connotations of home and safety. Where your heart is. Volume 2 – The sand was the element used and represents venturing beyond. The image was my grandfather's sheet music of his own music. So, I found that buried in a photo album when I was going through our family heirlooms. I had never met them, he had passed before I was born. It inspired me to carry on. I realised, who was I to put a stop to making music out of those who come before me in my bloodlines. I didn’t necessarily own that right to say it all ends here. I looked at that feeling and realised it was much greater than me. The sand means venturing forward out of that comfort zone. Yeah, I have. It’s a classic jazz standard. Written in the 60’s I think. It’s beautiful. I got it framed to preserve it. It’s amazing to have that physical representation. That represents the journey. A discovery of my heritage because up until then I had what I would describe as a preliminary knowledge of where I had come from. I knew elements that Tahiti was the origins of my ancestors but then I delved further into it. And I think there’s so much strength in knowing where you come from, knowing that you stand on the shoulders of giants. So, within that confidence that came I was ready to further. So, the water represents, we get to the shore, to the edge and we see the horizon. It’s like you stepped out of home, onto the sand and into the water. That’s exactly it. The water represents the unknown. Beyond the horizon what’s there? I try to capture that organic inspiration in the song and the visual. On a level of identity as a Polynesian, those values of respecting the land, relationships, spirituality, it’s who we are. Thank you for doing this. Thank you for chatting with me. I really enjoyed catching up with you and I’m sure I’ll see you soon. Check out Seth Haapu’s new single New Wave out now! Past winners and rising stars were recognised at tonight’s Vodafone Pacific Music Awards at the Vodafone Event Centre in Manukau, Auckland. Taking New Zealand by storm in late 2017 was Here To Stay by 12-year-old General Fiyah. Tonight the track earned him the APRA Best Pacific Song and helped propel him to the highly coveted Vodafone People’s Choice Award. 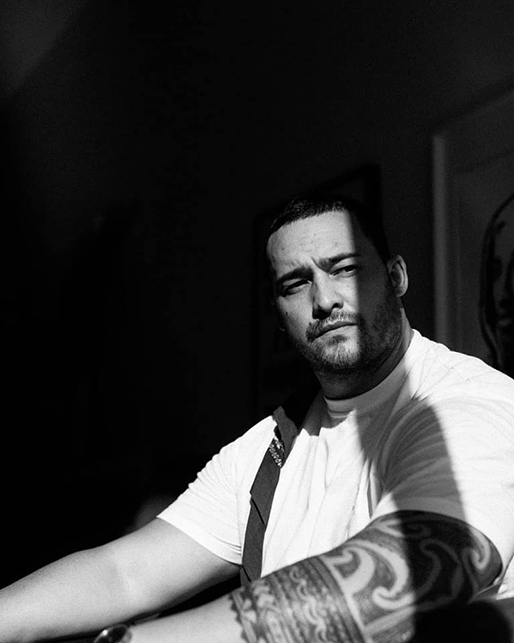 Samson Rambo was also celebrated for his work on the Here To Stay video, receiving the NZ On Air Best Pacific Music Video. Berlin-based musician Noah Slee picked up two awards for NZ Music Commission Best Pacific Male Artist and Pacific Media Network Best Pacific Urban Artist, while local reggae group Tomorrow People were acknowledged as the Pacific Media Network Best Pacific Group, as well as Sunpix Best Pacific Language for their songs Lock Me Up and Sa’ili Le Alofa. The inaugural NZ On Air Streaming Award was presented to Kings for his song We’ll Never Know, while Brooke Fraser received the NZ On Air Radio Airplay for her song Therapy. Samoan rapper Poetik received the Phillip Fuemana Award for most promising Pacific artist. 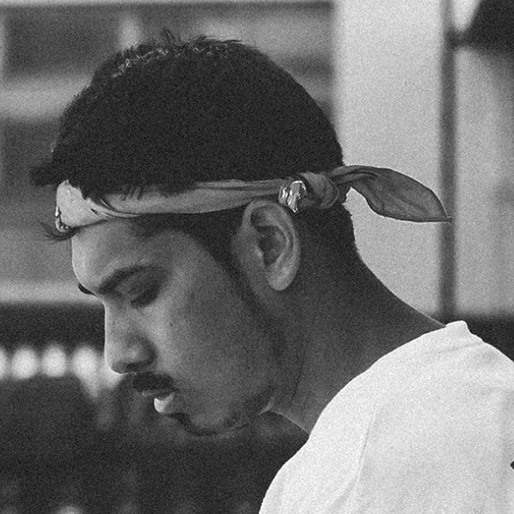 Through his music he aims to buildup the Polynesian Hip-Hop scene, by influencing the old Pacific Island traditions of love, respect and unity. The New Zealand Country Music Awards were held tonight in Gore, with the extremely talented Reb Fountain winning the 2018 Recorded Music NZ Best Country Music Artist and APRA Best Country Music Song. 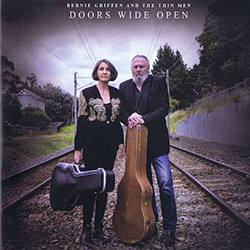 Reb first began constructing her Hopeful and Hopeless EP in 2014 when it was recorded live at The Wine Cellar while she toured with The Eastern. It would be the last time she would share the stage with the late Sam Prebble (Bond St Bridge, Mermaid & Mariner, The Broken Heartbreakers). To help herself move on, she completed the unfinished projects she began with Sam – including Hopeful and Hopelessand an album called Little Arrows, the latter of which saw her nominated for Best Folk Artist in 2018. The raw intensity of Hopeful and Hopeless has been recognised with the 2018 Recorded Music NZ Best Country Music Artist Tui, a testament to her decision to finish and release the EP after three years. Reb also won the APRA Best Country Music Song for her title track of the same name. This year there is an eclectic collection of finalists up for the jazz Tui. Hayden Chisholm, Norman Meehan,and Paul Dyne have been nominated for Unwind, alongside Lucien Johnson for West of the Sun, and Umar Zakariafor Fearless Music. IGNITE is a free programme run over 12 weeks, pairing participants aged 15-18 with industry mentors. The participants attend seminars, workshops and get the chance to tour local venues and do work experience. They're also guided by their mentors through the process of running their own shows, culminating in four all-ages live gigs at the Ellen Melville Centre in June. Participants are now busily planning their shows, which will be held on Friday June 8, Saturday June 9, Friday June 15 and Friday June 22. 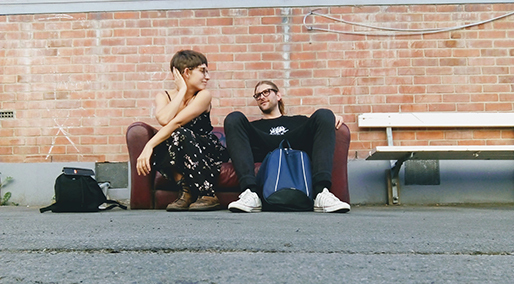 NZ music publishing company Songbroker is pleased to announce it has now set up office in Los Angeles with kiwi musician Greg Johnson representing the catalogue. Our next newsletter is going out on Sunday, 1 July 2018! Muzic.net.nz newsletters are currently sent out to over 8730 members!